Savage River , Swanton Md. Tim Brookens and I made out third trip to the “Savage”. Unfortunately, consistent heavy rains meant water release from the Savage reservoir at the timing of our arrival. We fished the quietest spot we could find the 1st afternoon and managed to land a couple browns and lose a couple on a caddis and blue quill while fishing in the pouring rain. 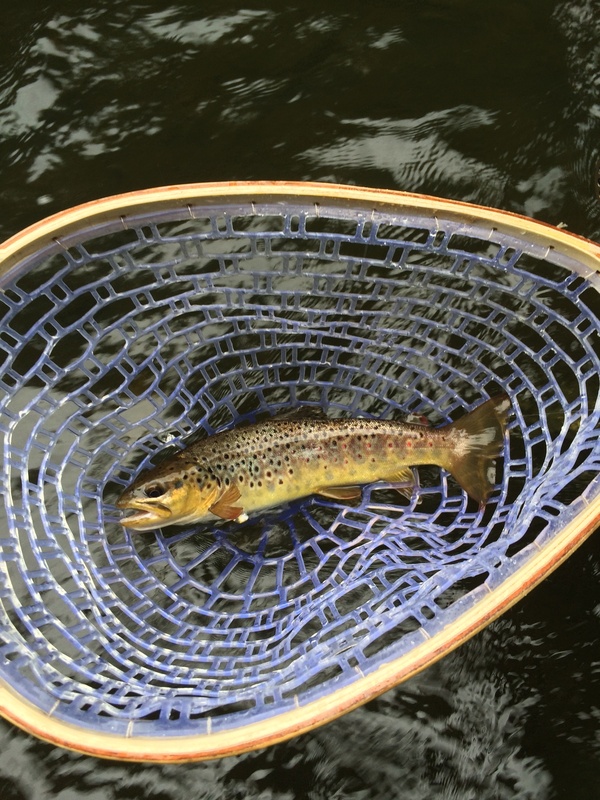 We also fished a short section near the phd bridge on the second day and landed one nice brown. After releasing even more water from the dam, the Savage became dangerous to wade. That was the bad news. 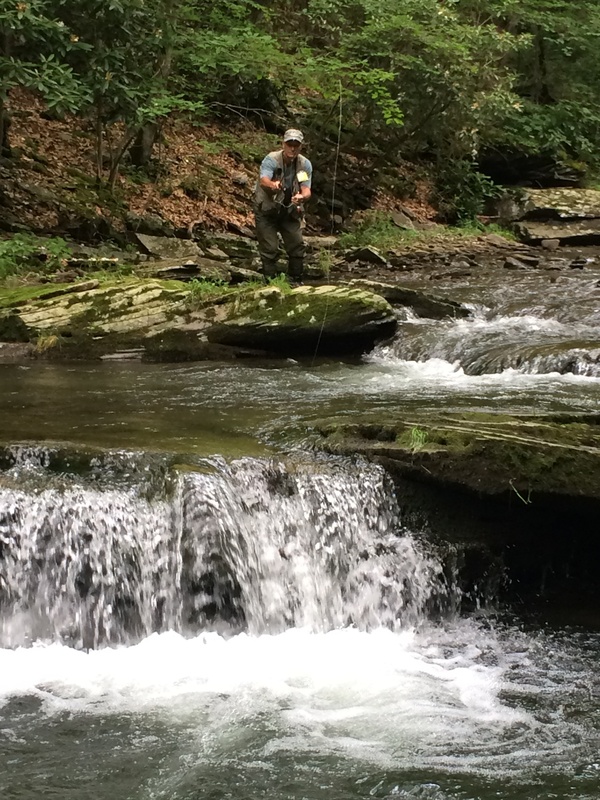 The good news was we were forced to explore the feeder streams….mainly Middle Fork and the Crabtree. The Crabtree was our favorite as we caught 20 wild brookies the last morning. All in all it was a great outing. We had the campground beside the Savage River all to ourselves….had meals with the roar of the Savage in the background and of course telling lies by the campfire till bedtime. We’ll be back! Sounds like a nice trip Trout Scout! It was. 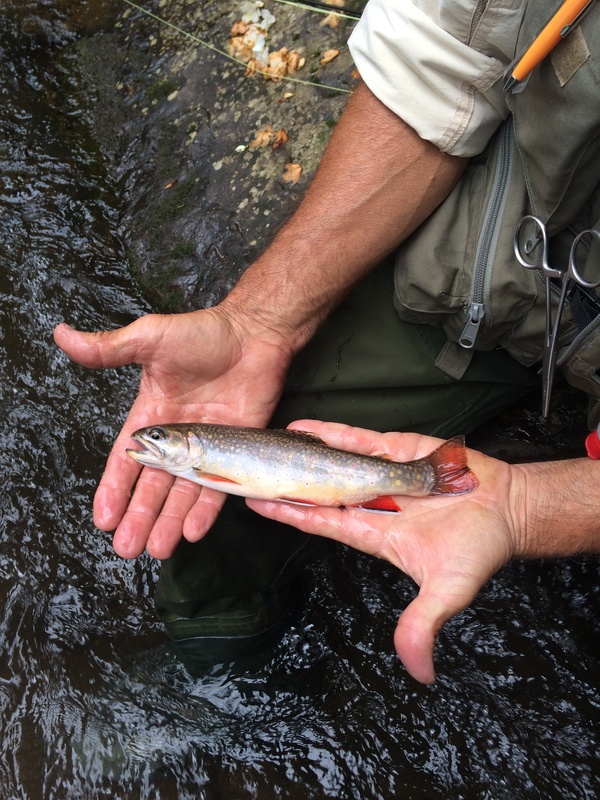 You would have loved fishing for the wild brookies. Awesome scenery.